LocationSA – The Big 5-0! Recently, a friend of mine classified a group of us as Boomers-in-Denial! A perfect label!! I admit I’m finding a few (only a few!) advantages to getting older, but it’s hard adjusting to the reality! And, in the past couple of weeks, I’ve discovered 3 things from my childhood that are turning 50 right about now!! And since I remember them well, that makes it even harder to accept!! One I just heard about on a news show is The Flintstones! Yabba Dabba Doo!! I loved the show when it first came on, and I still think it’s fun. I especially liked the way the writers took familiar things and characters and “retrofitted” them to fit in the Flintstones’ world! 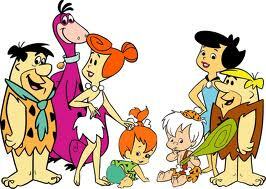 Happy 50th Birthday, Fred, Wilma, Barney, Betty, Pebbles, Bam-Bam, and Dino! The next thing I discovered reading a magazine was that John Wayne’s movie, The Alamo, is 50 years old! Wow! 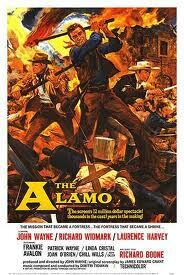 I remember seeing that movie and then trying to find all the rooms in the real Alamo! My first clue that Hollywood does not always represent real life! Still, it was a great movie about a San Antonio/Texas icon and I still like to watch it when it pops up on cable every once in awhile. 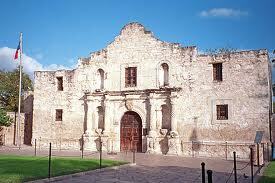 It’s always crazy to try to picture the Alamo as it was then when it’s sitting in the middle of downtown San Antonio! Thanks for the memories, John Wayne! 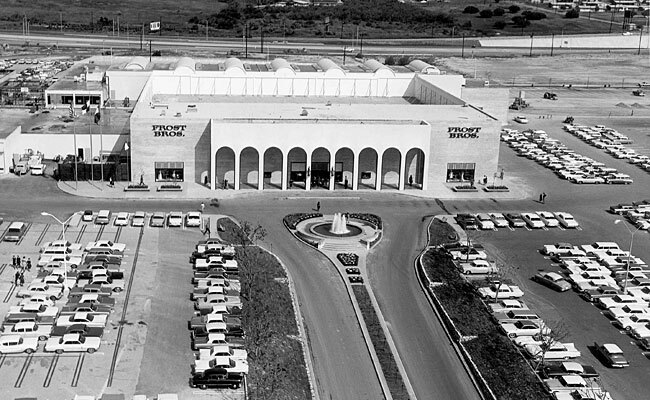 The 3rd San Antonio icon turning 50 this year is North Star Mall! Malls are so common now that it’s hard to remember what a new concept North Star was when it opened. I didn’t grow up in San Antonio, so coming to see it was a very big deal. And it was sooo far from downtown! It’s grown and changed a lot in 50 years, but still a destination of choice for many shoppers! 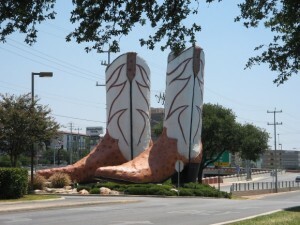 And still boasts the world’s largest pair of cowboy boots! Happy 50th, North Star! I promise to come visit soon! It’s hard to stay in denial when the evidence is around you is so strong! And let’s not even think about the evidence that stares back at me in the mirror every day!! That’s the real denial!! Ahhh–to be 50 again! San Antonio spotlight on Top Chef! San Antonio–getting that “urban” vibe! San Antonio’s Riverwalk is Holiday Magic!